We are concerned for the growth of traditional brands. You should be too. Looking at several data points below the story doesn’t look good for brands and the teams that support them. First, we are seeing consumer behaviors shift from a brand-driven world to a needs-based decision process. Not to mention we are seeing massive growth in e-commerce across multiple channels. This shows that consumers are finding new ways to purchase products on the go, on their terms at the time that they want. More and more they’re opting not to visit traditional brick and mortar locations. This is disrupting the tried and tested supply chain that many brands and organizations are built around. Finally, we’re seeing new business models emerge from startups and insurgent brands that are slowly deteriorating the share of established market leaders. These new models are proving successful with consumers because it offers incremental value in their purchase supply chain. At the core, the products and services are very similar to traditional organizations, but the method and process they purchase eases pain points for the consumer. 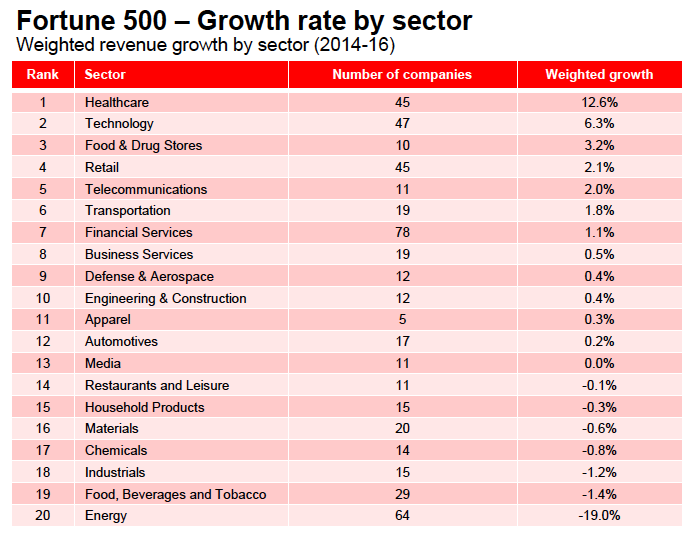 Because of all of this, we’re witnessing the slowing, stalling and declining growth in practically every sector in the Fortune 500. Something we should all take notice and really see the reality we're in. So, what happens when your consumers stop searching for your brand name, they don’t go into your distribution network and they start purchasing insurgent brands because of the ease of the experience and business model? It sounds daunting, but it’s not. The first step is that we need to wake up to reality. These trends are not only here, but they are accelerating drastically. Once we wake up, we need to spring into action and start looking at our brand and our offerings differently. The business models we’re seeing emerge from these shifting behaviors and technology advances are something different. They go beyond a traditional product and service model and into platform driven experience. The direct relationship these brands offer consumers is a much needed respite from the traditional one way relationships of the past, where the brands we buy were purchased through a 3rd party entity of a big box retail store. Not any more. Consumers demand a relationship with the brands they purchase. Always on: Our perceptions as traditional brands have to change. We need to not only view our consumers as loyal members of our community, but we need to engage with them as such. We need to look at these relationships with an always on, lifetime value lens. Not with campaign, acquisition colored lenses. Human centered: We also have to build our experiences around these consumers. Each touchpoint from communications to service to business model to distribution needs to not only benefit the consumer, but should fulfill your brand promise. This holistic mindset is what insurgent brands are getting right. They’re not bogged down with legacy processes or technologies that stand in the way of truly engaging their consumer base. Enabled by technology: These perceptions and activities are enabled not only by new processes, but by technology. The right tech stack on the front and back end of the experience will provide a more efficient and connected supply chain, but will enable a stronger, more engaging, more robust relationship with consumer through communications. Leveraging these three elements of the Brand as a Platform model, we have the strategic framework to truly make a difference in our brand growth. Modern day CMOs in more established, traditional organizations have the toughest challenge business leaders have ever faced. First, they have to breath life into current brand offerings, which we’ve seen are all stalling or declining. Second, they have to fend off the insurgent brands that are nibbling away at their market share by innovating in their category for new models and offerings that will drive incremental revenue. Calibrate Today: We call this Zero Waste Brand. Basically, we need to find the waste that is bogging down the growth of our current brand offerings, remove it and optimize for growth. Prototype the Future: We call this Category Innovation. To innovate in our category, we basically have to create the future before it gets here. We have to take specific and strategic actions to not only understand where the opportunity is, but get something into market, test and iterate until we find the incremental growth opportunities. There is a lot of work to be done for traditional organizations to accelerate their growth. But it can be done. It needs to be a strategic, actionable approach. Want to talk more? Let’s chat.